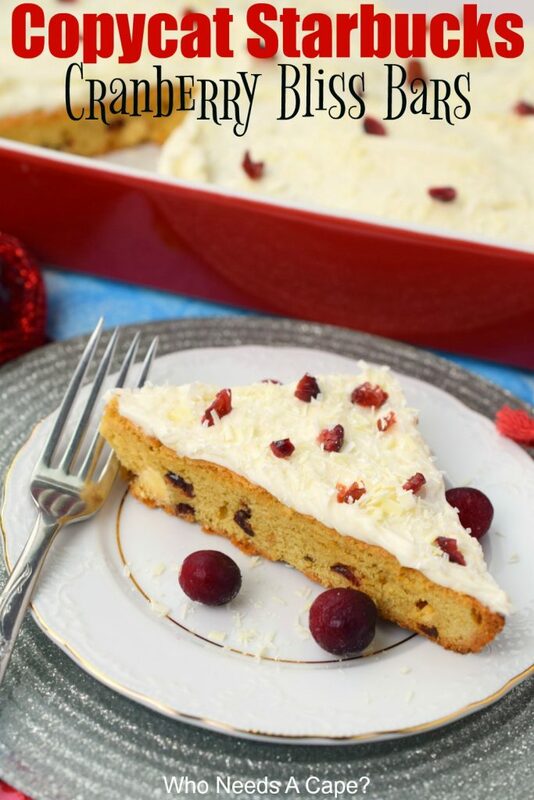 Copycat Starbucks Cranberry Bliss Bars - Who Needs A Cape? Tis the season for all sweets and treats! The holiday season never ceases to offer a multitude of opportunities to indulge in delicious desserts and goodies, does it? I for one am not complaining! 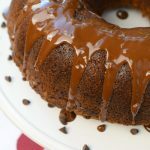 With each occasion during the holiday season, the central theme seems to revolve around food, especially sweet treats. Everything from cookie parties to open houses to office parties to family gatherings…the sugar is flowing! 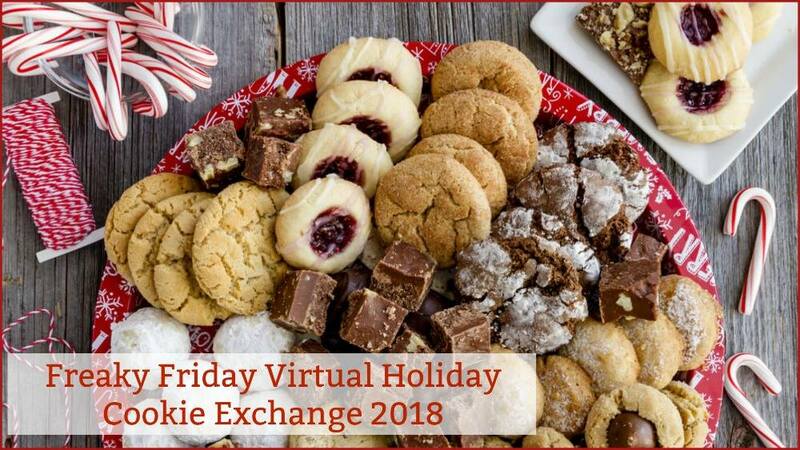 That’s why the latest round of FREAKY FRIDAY is bringing to you a Virtual Holiday Cookie Exchange! 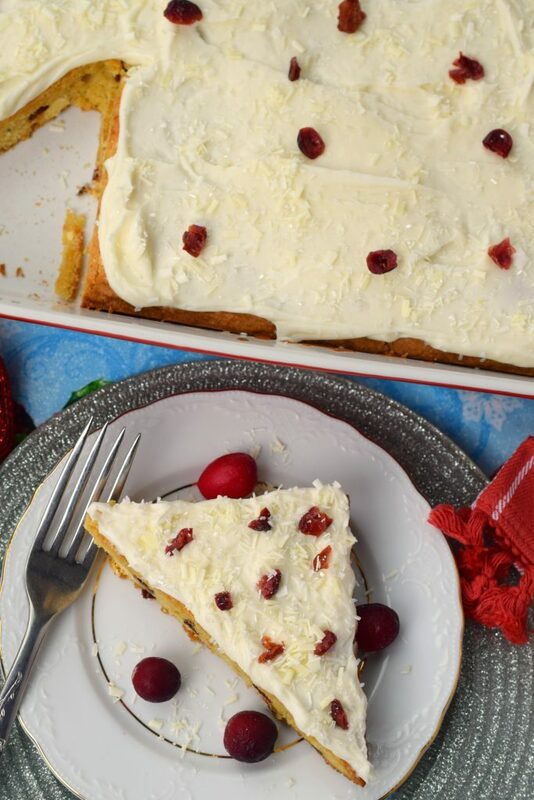 Recipes devoted to holiday celebrations, you’ll find classics, new favorites and everything in between to make your holiday season sensational! What’s Freaky Friday? Every couple of months we get together with some of our blogging friends. A date is chosen and each blogger is assigned another blogger from the group. 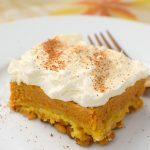 You pick a recipe from their website to remake for your blog and then there’s a big reveal on…Freaky Friday. Allow me to tell you a bit about The Foodie Affair! The Foodie Affair is the brainchild of Sandra, who has a flair for creating delicious recipes many of which are very health conscious. I’ve been in blogging circles with Sandra for many years and was excited to be assigned to her site. I was familiar with her Paloma Cocktail and the eye-catching Cranberry Jalapeno Salsa. 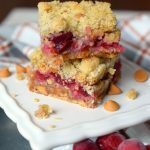 Since this round of Freaky Friday was dedicated to sweets I decided to make the Copycat Starbucks Cranberry Bliss Bars from The Foodie Affair. I figured they would be great all throughout the holiday season. Truth be told, I’ve never tried the original version found at Starbucks (I’m cheap, I don’t stop into Starbucks very often). 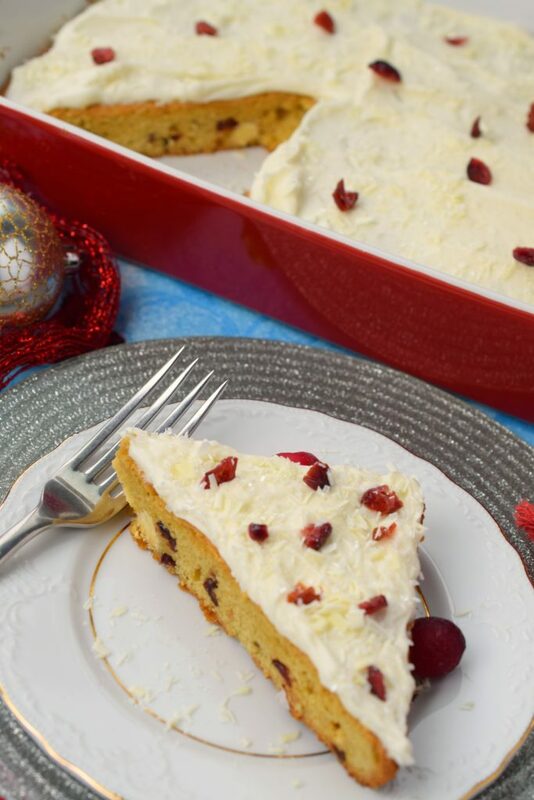 Sandra’s version looked delicious and I truly think cranberry recipes are great all year long. And boy oh boy…I was not disappointed!!! The only modification I made to Sandra’s version is I omitted the freshly grated ginger. I know my kids, I kept it simple in hopes that they’d love these bars, and they did. If you’d like to add it, I’ll put the measurements in the tips I list. 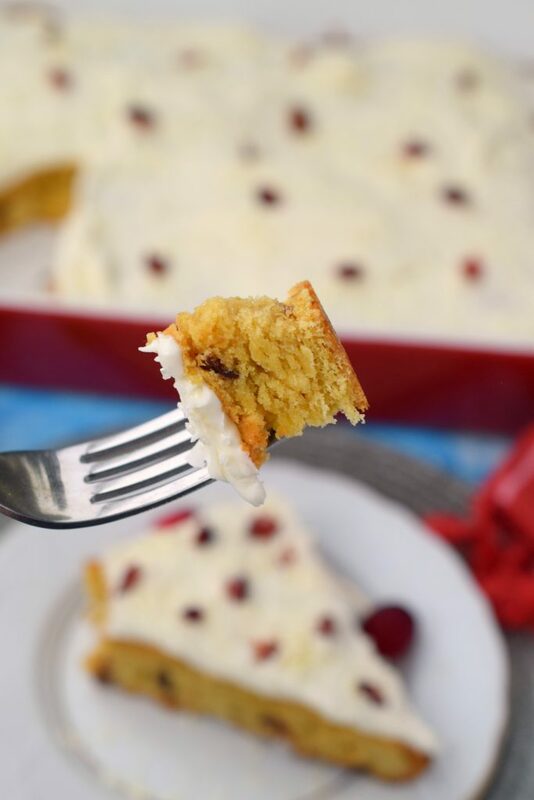 Copycat Starbucks Cranberry Bliss Bars were a HUGE hit at my house! I plan on using disposable pans and making a few batches to give away during the holidays. First stop is going to be the teacher’s lounges in my kids’ schools. I think they’ll love them. Thank you Sandra for a wonderful recipe which I know will be a hit for years to come! Happy Holidays to all!!! Line your pan with parchment paper if you’d like to lift out prior to cutting. No white chocolate baking bar? 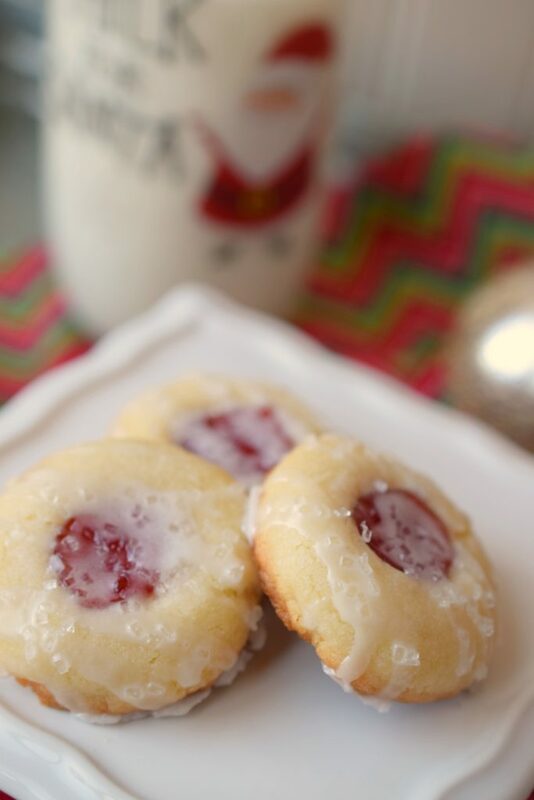 Use chopped white chocolate morsels. 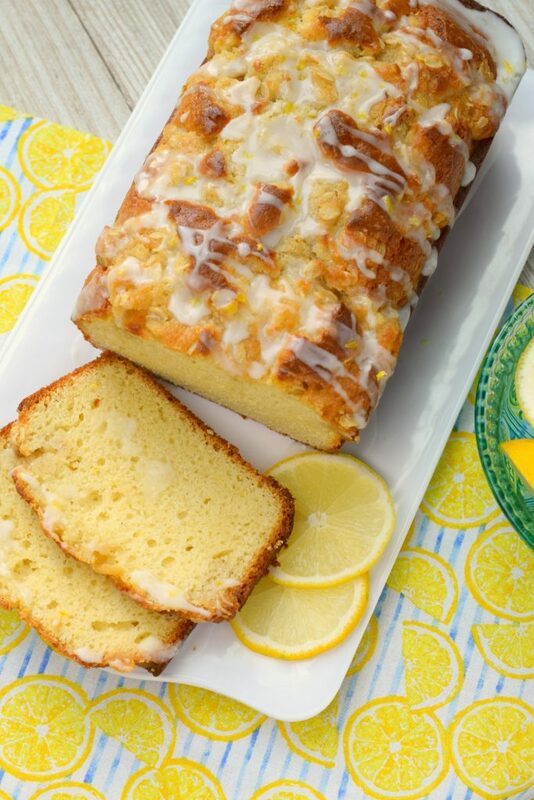 Original recipe adds in: 1 tsp grated fresh ginger & 1 tsp sugar, which get mixed in prior to baking. 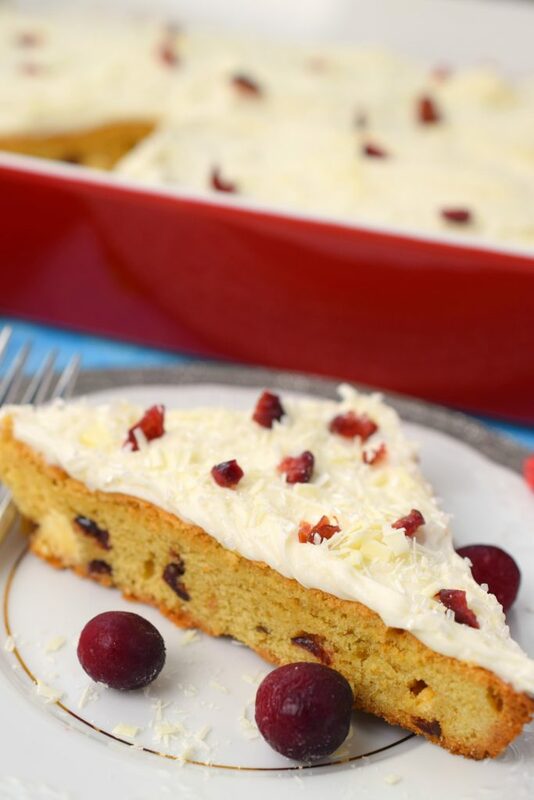 Top with additional chopped cranberries & shavings of white chocolate if desired. I used sparkly white sprinkles on the frosting, it adds a bit of sparkle. Preheat oven to 350 degrees, spray a 9x13 pan with non-stick cooking spray. With electric mixer, beat together butter and brown sugar, add vanilla. Beat in eggs, one at a time. Combine together in separate bowl: flour, baking powder, salt and ground ginger. Add into butter mitxure and mix until combined. 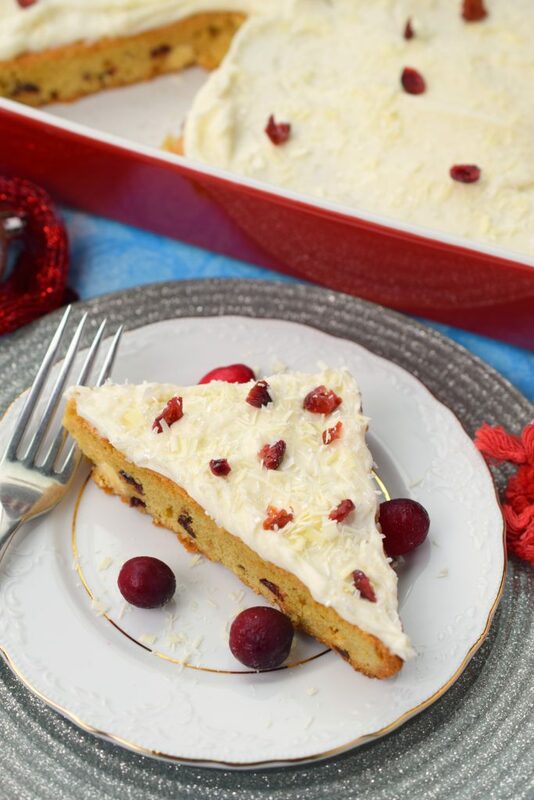 Fold in cranberries and white chocolate. Spread into prepared pan, bake 20-25 minutes or until lightly browned. Remove from oven and allow to fully cool on wire rack. For frosting, beat together: cream cheese, butter, vanilla and powdered sugar. 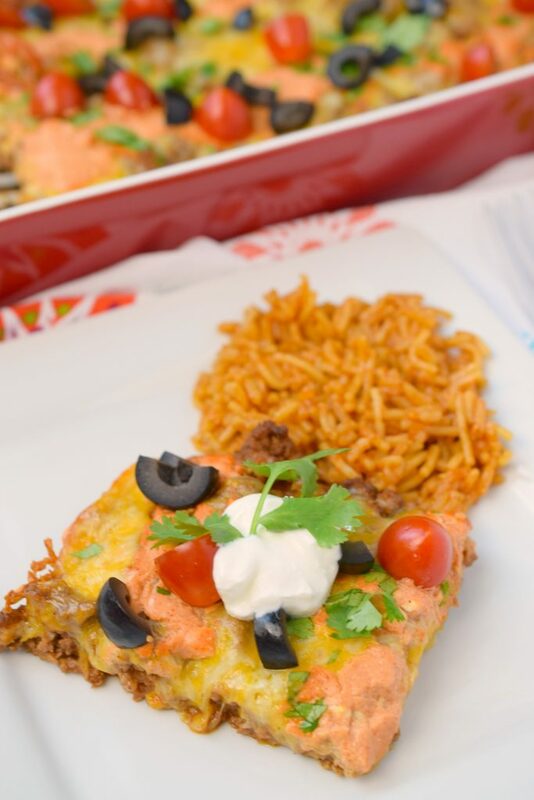 You’ll find this recipe & more at the Weekend Potluck! This classic Starbuck’s treat is next on my list of holiday treats to conquer. 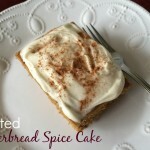 What a fantastic job you have done covering this recipe, as always! OMG yum! Everything about these sounds so perfect! I must admit I have one indulgence at Starbucks… its this bar. I know they are expensive but its my one treat there! Now I can save the money and make my own… thank you so much! Happy Holidays ~~ It’s been a pleasure getting to know you this year through your recipes! I look forward to all of the new ones in the new year! These looks delicious and sound nice and easy to make. I bet they are even better than the ones from the coffee shop! The only time I go to Starbucks is on vacation and loved their bakery. 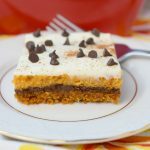 These bliss bars look amazing and I’ll be making them for overnight guests this Christmas! I’m in bliss just thinking about these bars! What a wonderful treat! I love that I can make these at home. I also love how you sliced these! It’s amazing by thinking a little outside the box how it dresses up these lovely bars. GREAT sweet treat! I’ve never tried the Starbucks version either, but now I don’t need to! I can’t wait to this at home, it looks so delicious! I can’t tell you how much money I have spent on these in the past! Maybe making my own at home I can save some money and gas too! Ohhh I need to make these bars! 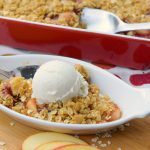 I love cranberry in desserts and these bars look like they will be a huge hit in my house! Printing and picking up everything I need tomorrow! One of my favorite things at starbucks!! Now I can make it at home!! So excited! !